Giannis Antetokounmpo is the NBA-leading Milwaukee Bucks star. His 27.5 points, 12.7 rebounds and six assists averages per game are launching him into the MVP discussion. 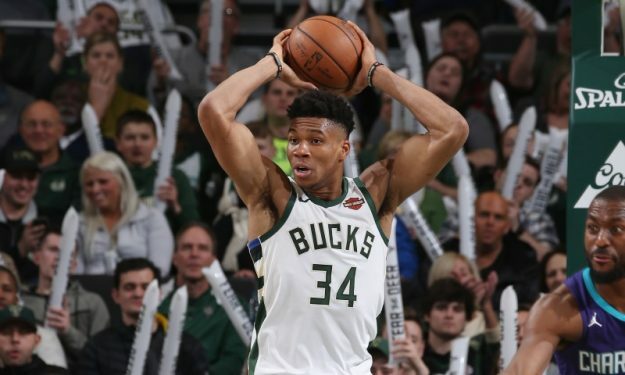 However, the Greek Freak told Bucks’ reporter Matt Velasquez that he won’t adjust his culture or anything else in order to be better suited for the North American public. “A lot of people say that I can be the face of the league. Lately, people have told me… the closest people, you know, my family, my girlfriend, my mom, my brothers, people say that I cannot be the face of the league because I’m not American, I don’t have the American culture in me” he said in his interview. Antetokounmpo shared his response to the above mentioning: “I sat back and thought about that. Should I have a little bit more American swag, should I come with a suit to the game, should I be more Americanized? But, man, if I can’t be the face of the league being me, I don’t want to be the face of the league. That’s pretty much it”.